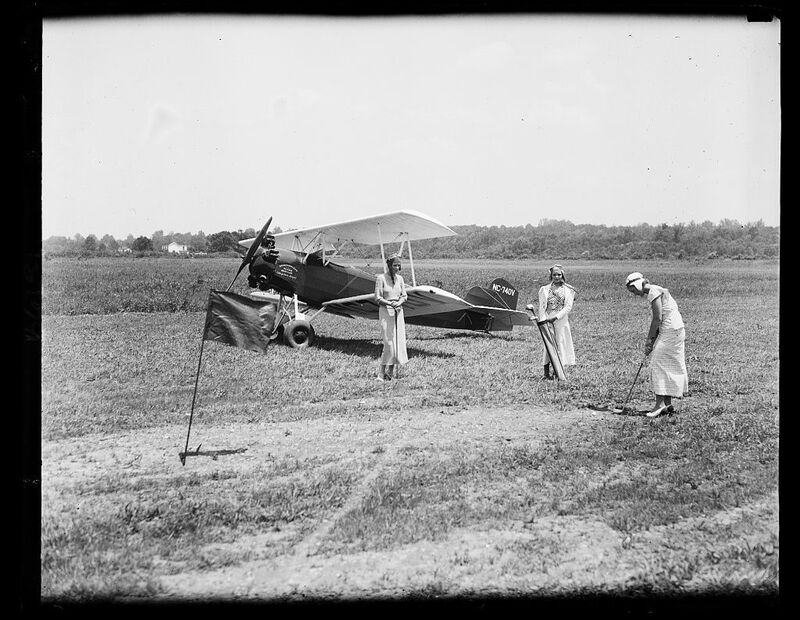 As the story goes, the nine hole course was laid out across nine airports. On each hole, the players approach the airport and drop their ball, attached to a small parachute from a minimum of 500 feet. From the landing spot, players then proceeded as normal, hitting the ball with their clubs until holing out. Once a hole was finished, the players got back into the airplane and flew to the next airport, and the next hole. The 1920s and 1930s were decades of strange fads, including goldfish swallowing, phone booth stuffing, dance marathons, and flagpole sitting.